i know a lot of you pull out the christmas lights and the santa clauses right after halloween is over, but over here at the burton household, we say long live thanksgiving. 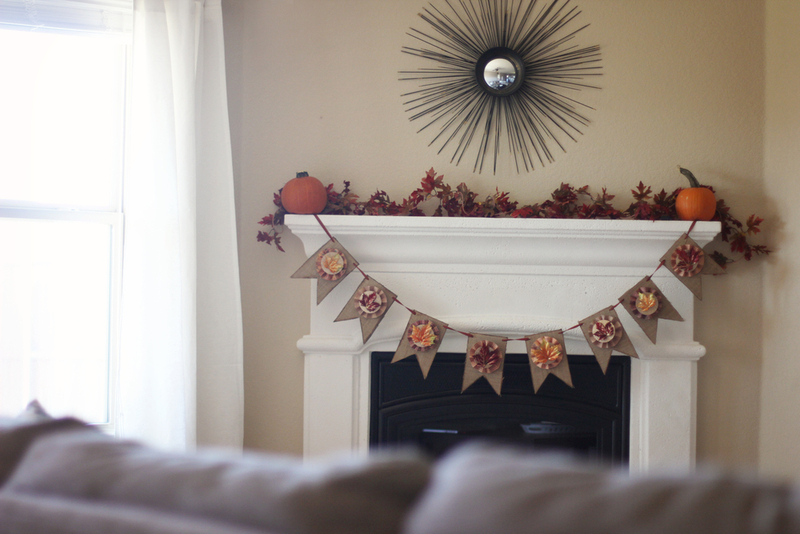 but did you know that thanksgiving wreaths are pretty hard to find? and they are kind of expensive and kind of ugly. so one rainy day i left ava with david and went to go wander the hobby lobby aisles by myself and it was pretty great. you never appreciate grocery carts until you have a tiny human who not only will do anything to wiggle out of one, but is really determined to throw everything you put in the cart, out of the cart. it's a really good time. but anyway, back to the hobby lobby. 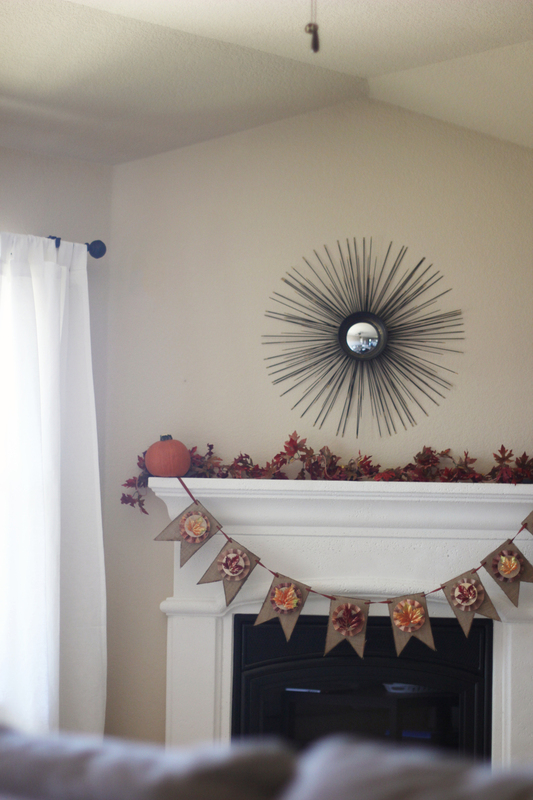 they were having half off all their fall stuff, so i ended up picking up a couple garlands for $5 each and a work wreath for $3 and with a little hot glue and some burlap ribbon, my thanksgiving wreath was born. so you guys, i know christmas is real fun and all...but the pilgrims! and the season of gratitude! and the pumpkin pie and mashed potatoes! they deserve their time to shine.